Gurudev palace cinema Review is Renowned cinema in kanpur nagar. 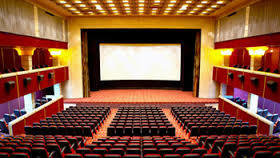 It is very popular cinema in kanpur nagar. It has all modern facility which is required. The sound quality of this theater is very good. It is placed main road of the city so people can reach this cinema very easily.This cinema always packed with audience.It is also situated best part of the city. you can also book their ticket by telephone or online.